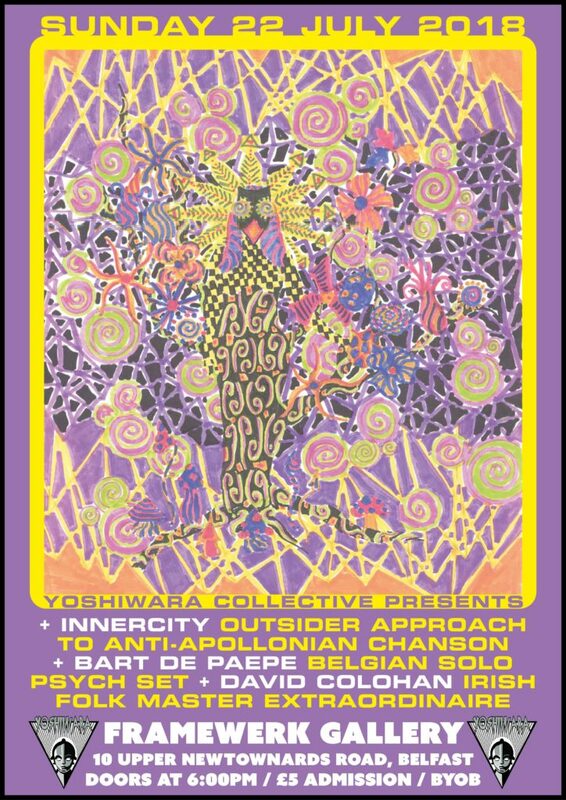 Framewerk and Yoshiwara Collective present Innercity, Bart De Paepe and David Colohan. 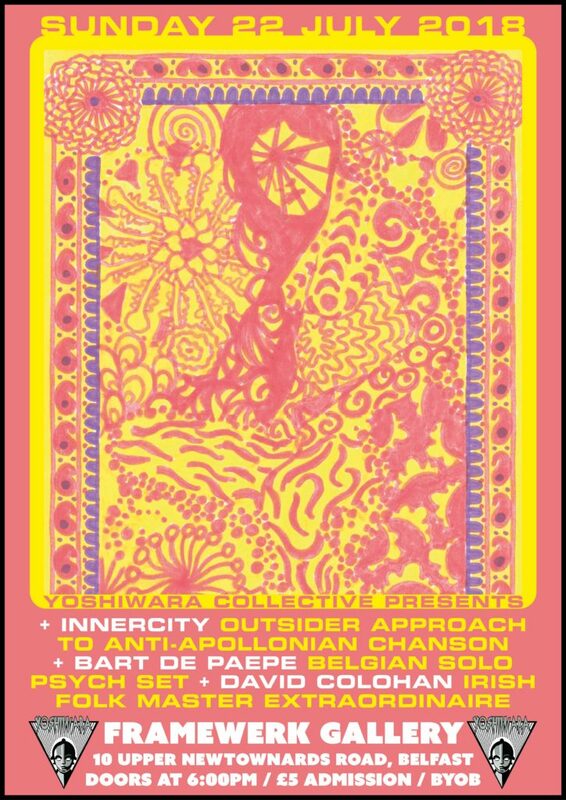 It promises to be an evening of freeform psychedelia and folk sounds. Innercity is the prolific synth-based project of Belgian Hans Dens, joined on this tour by Eva Tourné (DJ Backstabber) and Bart De Paepe (Sloow Tapes). Though associated with the ambient / synth underground, Dens eschews the prevailing escapist vibes of that scene in favour of a more visceral, rough-hewn and disorientating soundworld, characterised by sleep-deprived hysteria and bad-trip paranoia. 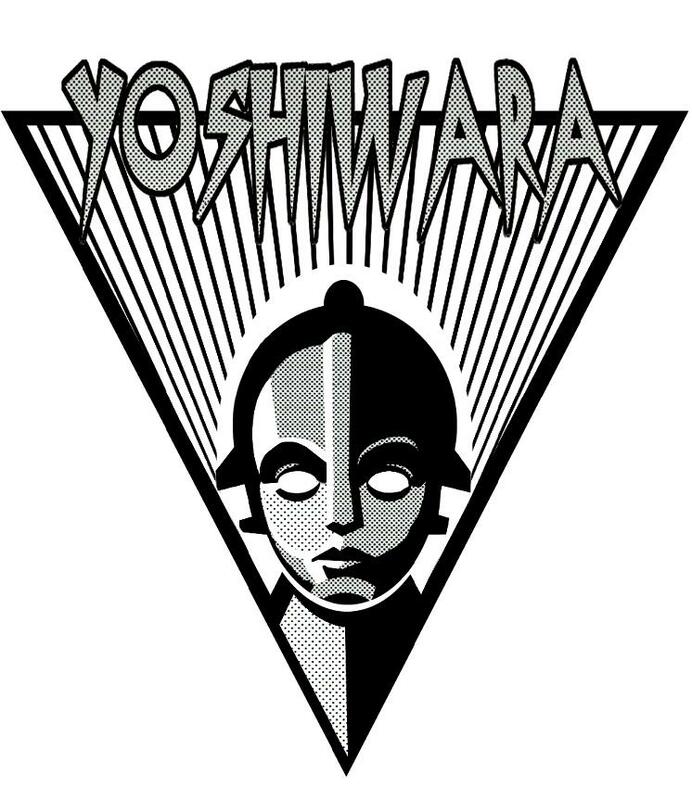 Founder of Sloow Tapes and Sloowax. Bart has been releasing an eclectic range of weird and wonderful music for over 10 years. Bart has also been a member of the groups De Lotuseters, Ilta Hämärä, Sloow Road, Sylvester Anfang II. David Colohan is the prolific founding member of United Bible Studies, Agitated Radio Pilot, and Raising Holy Sparks. Buy some cans and come along to Framewerk Gallery on Sunday 22nd July!